Axion Polymers has launched a new range of injection-mouldable ABS grades, recovered from non-metallic waste from scrap vehicles. It believes the new resins will reduce corresponding carbon footprints by two-thirds, compared with virgin ABS made from oil feedstocks. The Axpoly range is sourced from a British closed-loop supply chain, ensuring a stable price to processors, as raw material costs are separated from oil imports. Keith Freegard, Axion’s Director, sees that competitors are increasing prices due to sterling’s currently shaky exchange rate. Axion’s life-cycle assessment of the recycling process shows a saving of 2.1 tonnes, carbon dioxide equivalent, for every tonne of ABS produced. 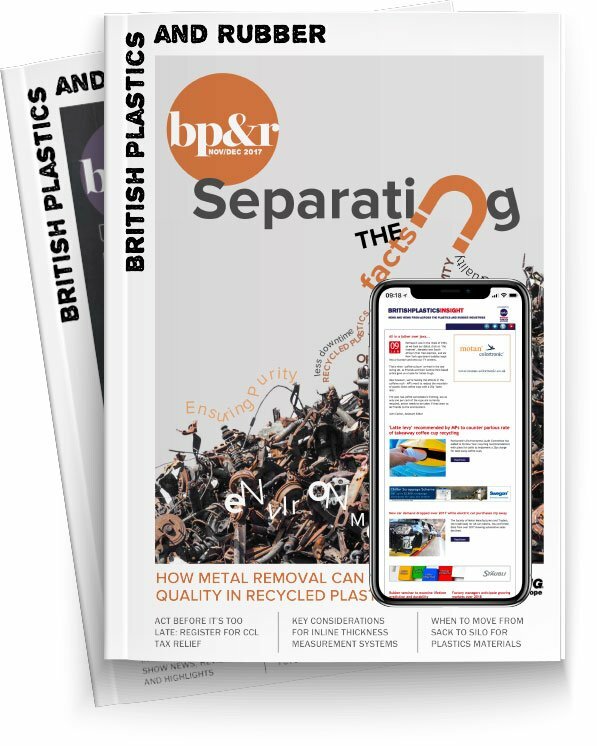 The plastics are mechanically separated at Axion’s Shredder Waste Advanced Processing Plant (SWAPP) in Manchester and further refined at its Salford polymer compounding site. All production batches are traceable back to the origin of the raw material as part of an integrated, closed-loop, automotive materials resource recovery system. The properties of the standard recycled ABS grade Axpoly r-ABS52 1009 can be modified to suit a customer’s individual application, using the compounding capability and fully equipped materials testing laboratory at Axion’s factory in Salford, England.